Lacthosa received for the seventh consecutive year the label granted by the Honduran Foundation for Corporate Social Responsibility, Fundación Hondureña de Responsabilidad Social Empresarial (FUNDAHRSE) that credits as a Socially Responsible Company for contributing to the development of the dairy sector, impact of positively on the quality of life for employees and promoting nutrition and health for the Honduran people. For the seal of FUNDAHRSE, Sula, division of Lacthosa underwent a rigorous evaluation, of the seven vital axes of CSR, including: governance, environment, communities, suppliers, responsible marketing, internal public and public-private partnership. Significantly Lacthosa is the only company in the dairy sector in Central America received on 7 consecutive occasions this award which demonstrates its strong social commitment. The strategy of corporate social responsibility of Lacthosa is based on three fundamental pillars: health, education and development of livestock and citrus growers. All these actions contribute to the development of the country and to improve the quality of life of thousands of Honduran families, especially generate a significant impact on the field. 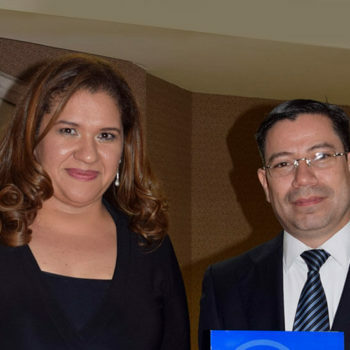 “As a company 100% Honduran we are proud to be recognized as a socially responsible company, all our programs are focused on helping to improve the quality of life, to generate development and make a positive mark on society. Our commitment is to Honduras and its people, “said Marianne Kafie, executive and daughter of the founder of Lacthosa, Schucry Kafie. Lacthosa counts with 4 prosecution plants that Honduran assures an annual buy of more than 140 million liters of milk to 4000 stockbreeders who produce 100 % Honduran milk, what turns it into the biggest producing plant of milk of the country. Also, it offers stable work places to more than 3,000 collaborators. In the event FUNDAHRSE rewarded 64 companies focused on different titles, between which Lacthosa stood out.